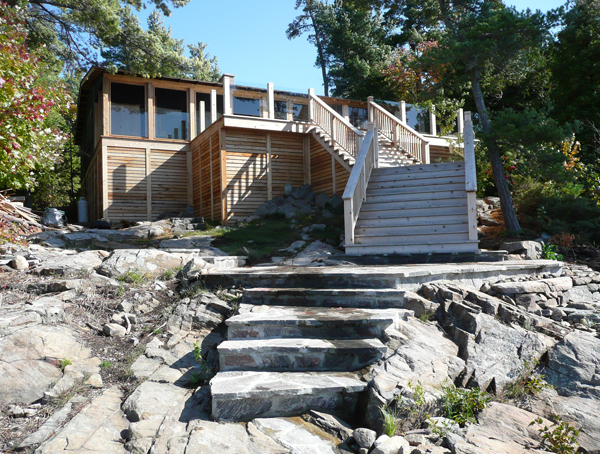 This Pointe au Baril Island cottage has been in the same family since its construction in 1923. 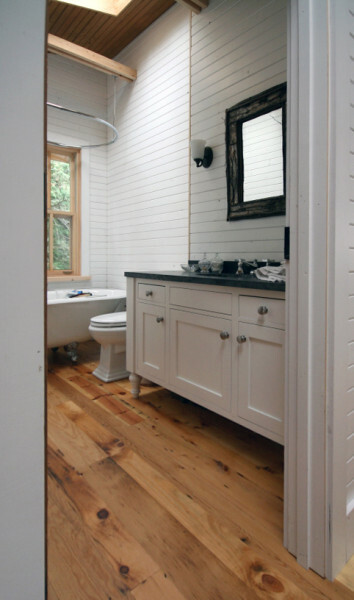 The owners were interested in upgrading it to incorporate an off-grid solar electrical system and make it more comfortable, while preserving its original cottage character and features. 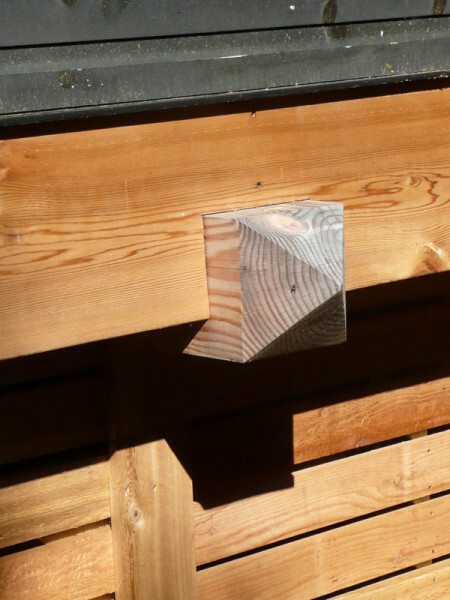 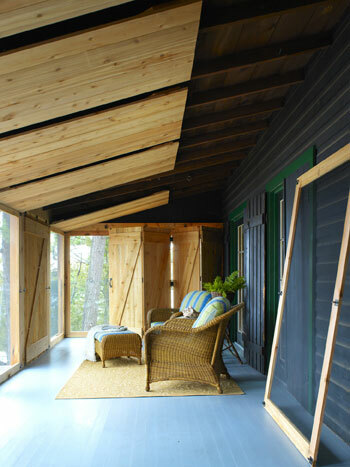 An addition follows the material palette and architectural format of the original building, while providing a new, brighter yet well-insulated zone for use in the cooler seasons. 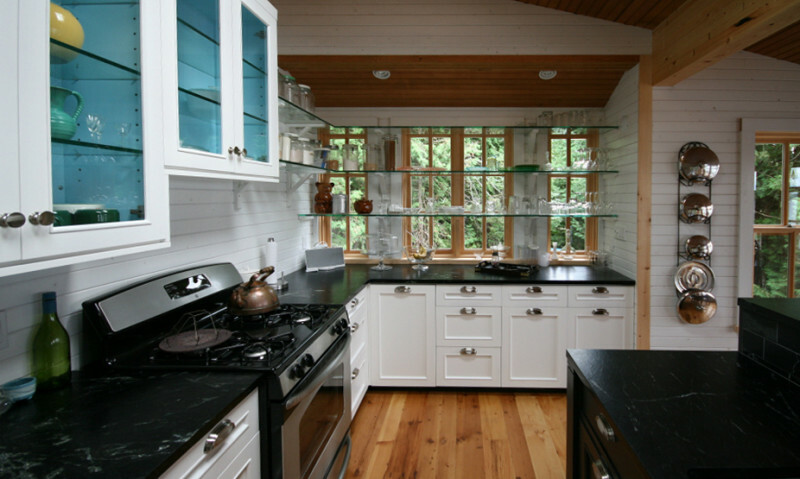 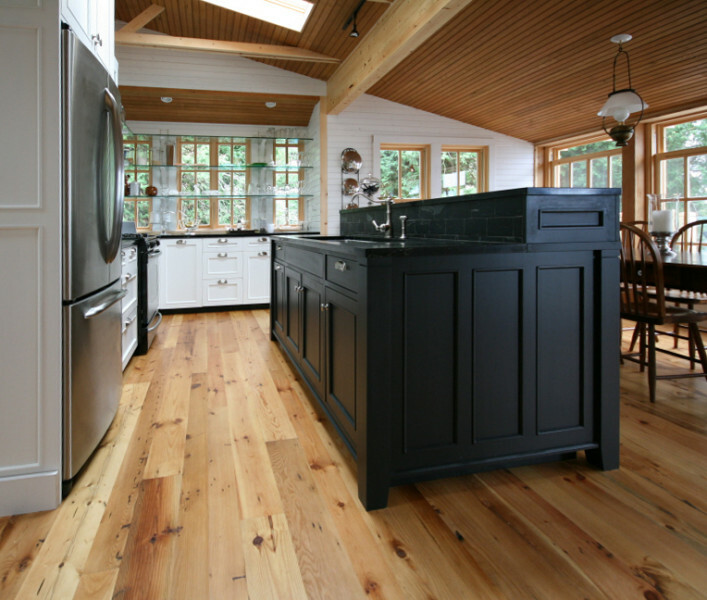 The addition incorporates a wood stove, enlarged kitchen, dining area, bathroom, and bedroom, all without changing the cottage in basic appearance. 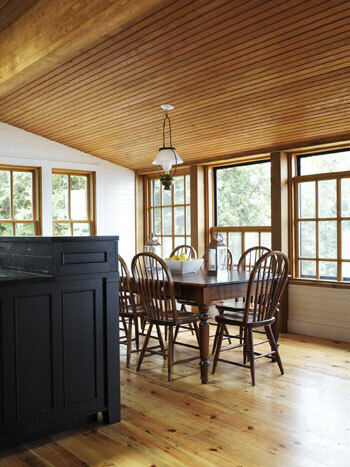 A new dining room can be transformed from enclosed space to a screened porch with windows that drop down into the walls. 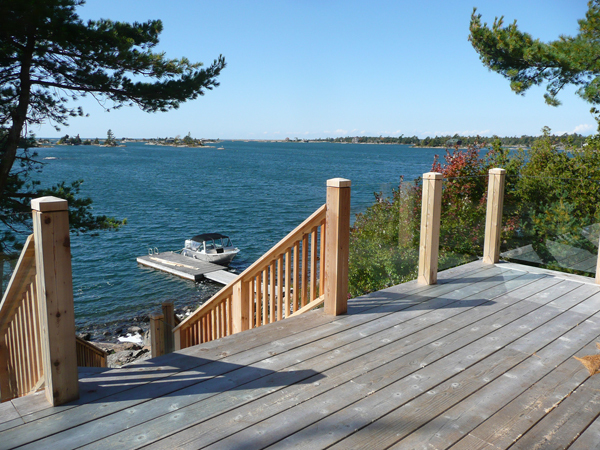 A large raised deck on the front of the building captures long views toward the open water of Georgian Bay.